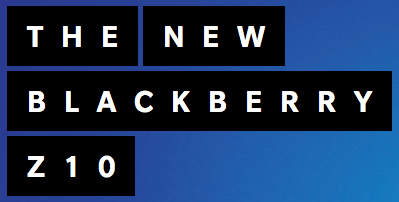 The Mark/Space Blog: BlackBerry 10 Hits the US - Fliq Notes and Tasks Ready! BlackBerry 10 Hits the US - Fliq Notes and Tasks Ready! The new BlackBerry Z10 has started shipping today in the US. This is the first device to ship in the US with the new BlackBerry 10 operating system, and there are more to follow, including a BlackBerry Q10 device sporting a full keyboard. We have been working with these devices for some time, and as we had done previously for the BlackBerry Playbook, we're ready for these new devices with Fliq Notes and Fliq Tasks! Check out the official BlackBerry blog post for the launch dates on each of AT&T, Verizon and T-Mobile. If you have your Z10 or PlayBook, then visit BlackBerry App World to download Fliq Notes and Fliq Tasks.